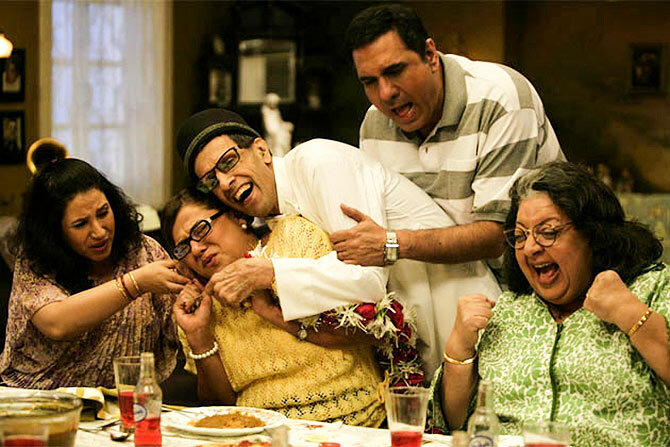 Rediff.com » Movies » Bollywood's Parsi power! And no, says Sukanya Verma, the list doesn't start and stop with Boman Irani! Often caricatured on celluloid, there's more to the small but solid Parsi community than quirks and accent. Quite a few of them have made an invaluable contribution to the Hindi film industry with their artistic vision and compelling talent. In Rangoon, an ambitious period drama directed by Vishal Bhardwaj, Saif Ali Khan's character is named Rustom Bilimoria, a Parsi film producer. One of best looking villains we've seen recently, Freddy was seen in a negative role in Holiday, starring Akshay Kumar and Sonakshi Sinha. He will now be seen as a baddie once again in Commando 2. Neerja was one of the best films of 2016 and Jim Sarbh, who played a negative role in the film had a major contribution to that. Jim will soon be seen in Konkona Sen Sharma's A Death In The Gunj. Amrya, who made her debut opposite Prateik Babbar in Issaq, recently got a taste of international cinema in Jackie Chan's Kung Fu Yoga. 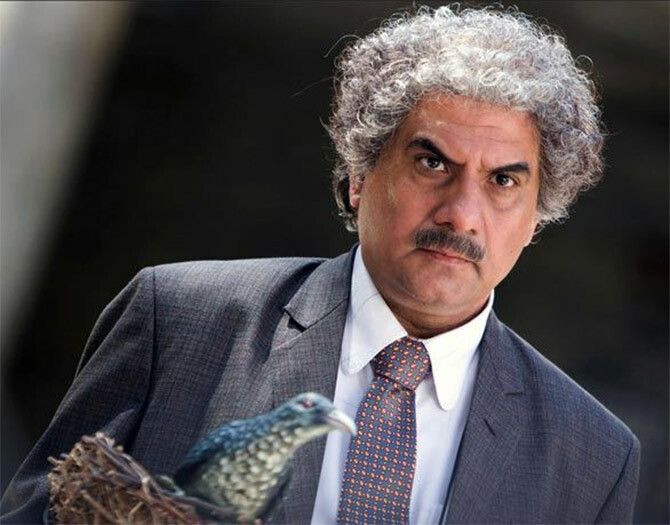 IMAGE: Boman Irani in 3 Idiots. Although he entered the industry in his 40s, Boman has proved his versatility through a range of characters and performances in Munnabhai MBBS, Lage Raho Munnabhai, Main Hoon Na, Khosla Ka Ghosla, Honeymoon Travels Pvt Ltd, 3 Idiots, Cocktail, Don, Being Cyrus, Shirin Farhad Ki Toh Nikal Padi and Jolly LLB. IMAGE: Daisy Irani, extreme right, in Shirin Farhad Ki Toh Nikal Padi. As the cute, curly-haired moppet constantly pampered by the likes of Ashok Kumar and Meena Kumari in a series of films like Bandish or Bhai Bhai, Daisy Irani made an early impression as India's answer to Shirley Temple. After staying away from the screen, following her marriage to movie writer K K Shukla, Daisy resurfaced to perform supporting roles in films (Aastha, Housefull, Happy New Year) and television (Dekh Bhai Dekh, Shararat). 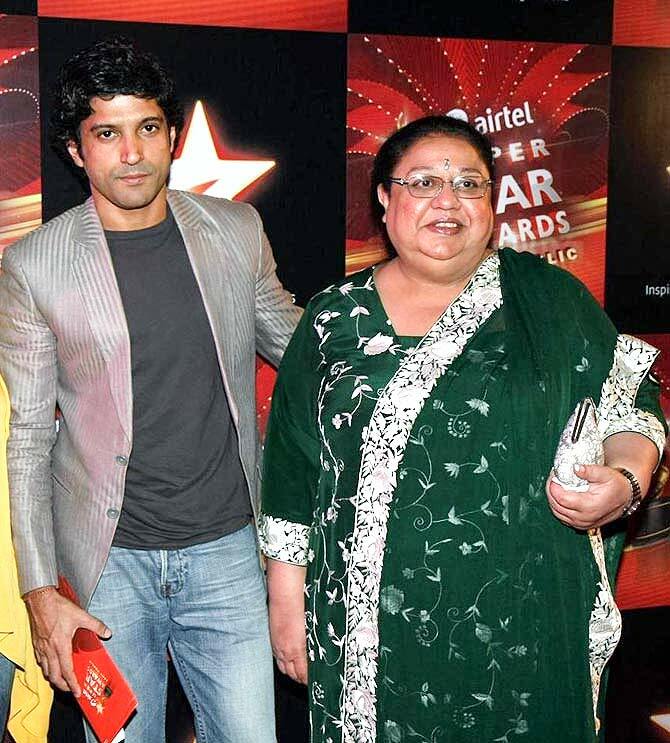 Honey, Daisy's younger sister, followed her footsteps in films like Masoom, Talaq and Chirag Kahan Roshni Kahan. As a teenager, she did character roles in Seeta Aur Geeta and Kati Patang. Around then, she quit the movies to marry movie writer Javed Akhtar. They had two children, Zoya and Farhan, before the marriage ended. Honey has written the screenplay for films like Aaina, Lamhe, Darr, Kaho Naa Pyaar Hai and Krrish 3, but never attempted to direct after the debacle of Armaan. 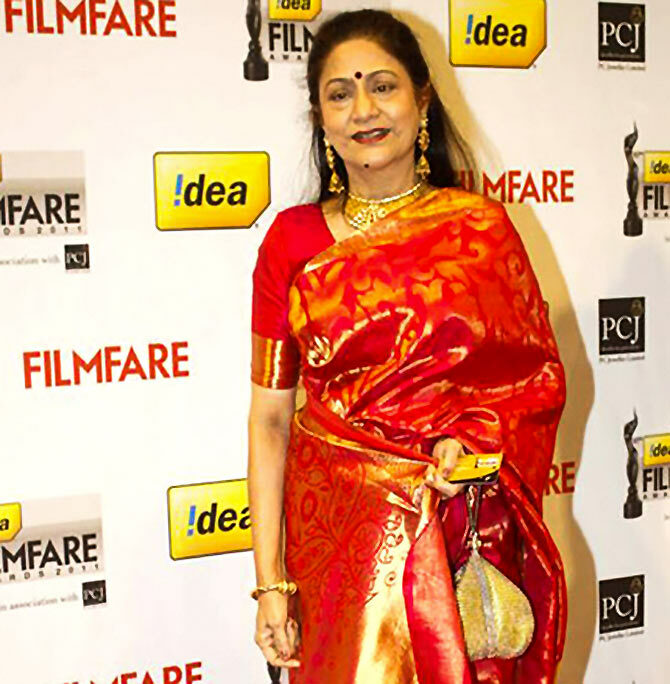 IMAGE: Aruna Irani at the Filmfare Awards in 2011. The eldest child of an Irani Parsi father and a Maharashtrian mother, among eight siblings, Aruna was required to work in the movies and fend for her family. Except her memorable journey from child artist in Dilip Kumar's Gunga Jumna to a seductive vamp in Jeetendra's Caravan to Amitabh Bachchan's leading lady in Bombay to Goa, Mehmood's partner-in-crime in numerous movies to playing mommy to Anil Kapoor, Jackie Shroff and Govinda is the stuff success stories are made of. IMAGE: Daisy Irani and Shammi in Shirin Aur Farhad Ki Nikal Padi. Dil Apna Preet Parayi, Half Ticket, Ittefaq, Rangeela -- the list is endless. Yet the bubbling energy and comic timing of Shammi, real name Nargis Rabadi, as the sometimes snoopy, sometimes endearing, often Anglicized character in over 200 films is still fresh in public memory. 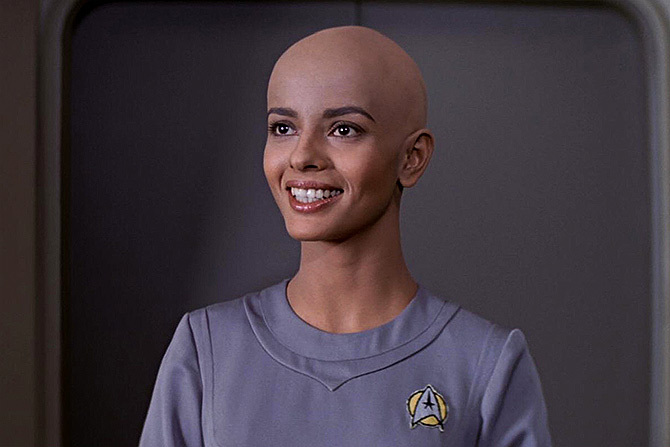 IMAGE: Persis Khambatta in Star Trek: The Motion Picture. The stunning Miss India-turned-model-turned-movie star made her screen debut in K A Abbas's Bambai Raat Ki Baahon Mein before making her move to Hollywood, most notably as the bald Lieutenant Ilia in Star Trek: The Motion Picture. 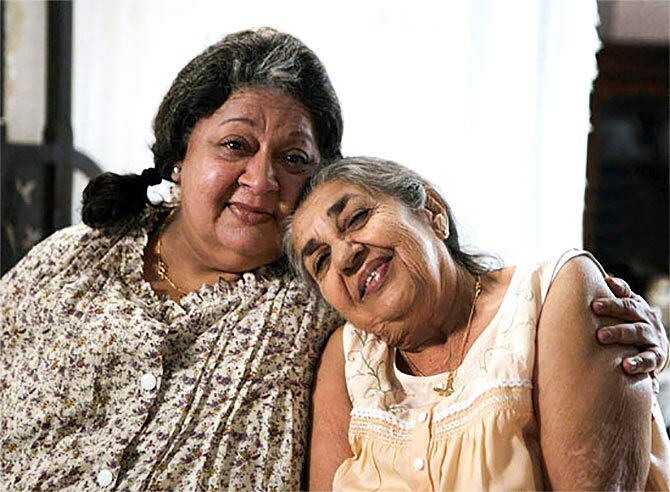 Persis is the first Indian to present an award at the Oscars. 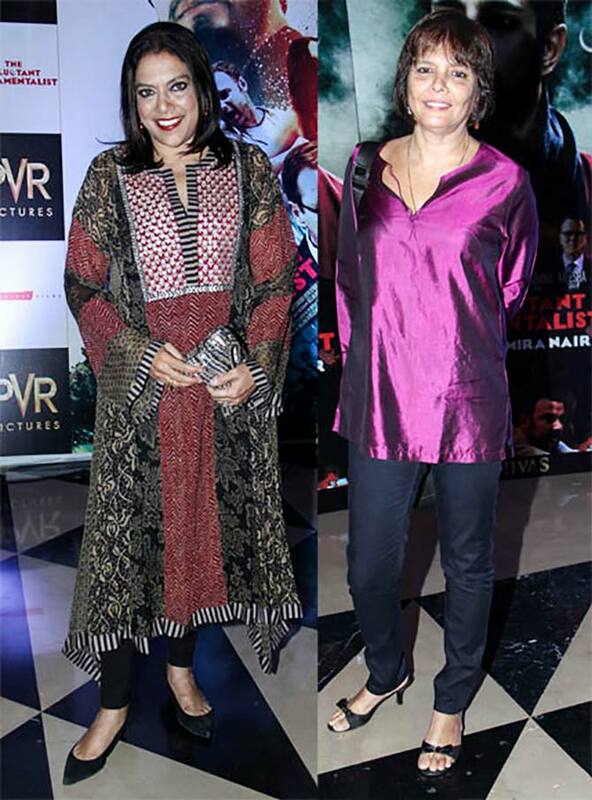 IMAGE: Mira Nair and Sooni Taraporevala at The Reluctant Fundamentalist premiere. What do Salaam Bombay!, Mississippi Masala, Such a Long Journey and The Namesake have in common? The immensely insightful writer of these films turned director in 2008 with Little Zizou. In 2014, she was honoured with a Padma Shri for her work in cinema. 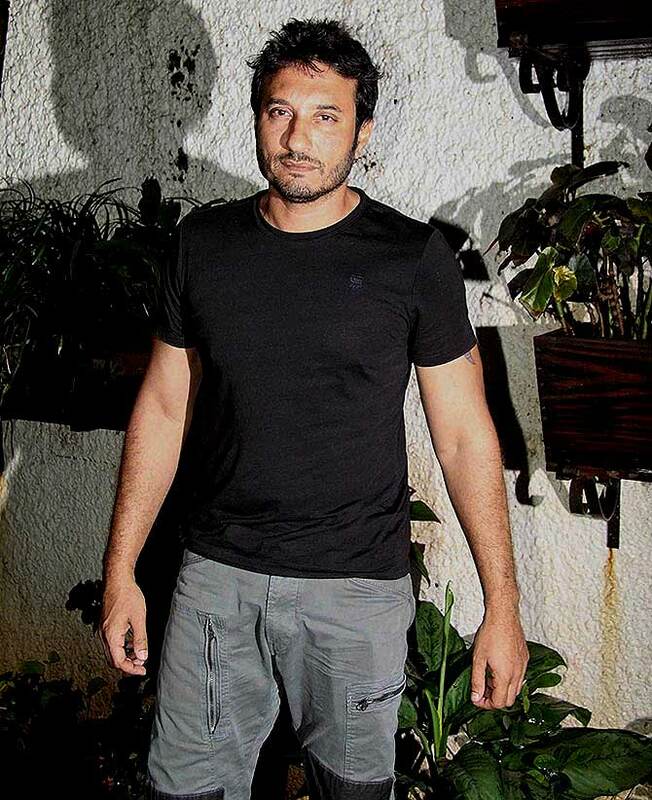 With his first three films -- the unapologetically dark Being Cyrus, the sweet and sassy Cocktail and a delightfully zany Finding Fanny -- director Homi Adajania has established himself as one of Bollywood's exciting contemporary minds. 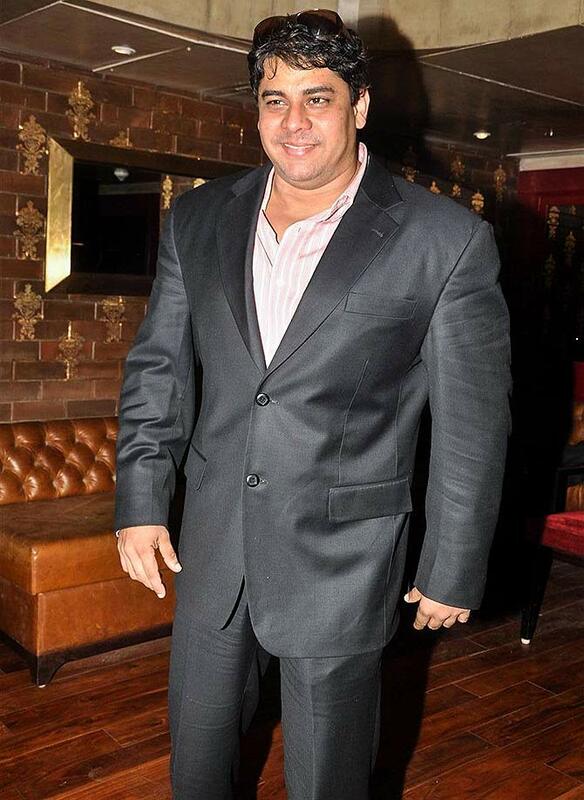 IMAGE: Funnyman Cyrus Broacha is all suited up! One can never get enough of funnyman Cyrus Broacha's witty take on entertainment or politics. Before he pranked unsuspecting 'bakras' on MTV or powered the satirical TV show The Week That Wasn't, Broacha made his debut as a school-going drug addict in the Naseeruddin Shah starrer, Jalwa. Fellow veejay and namesake, Cyrus Sahukar has quite a few significant gigs to his credit, mostly as the bumbling pushover. Remember Rang De Basanti, Aisha, Delhi 6? 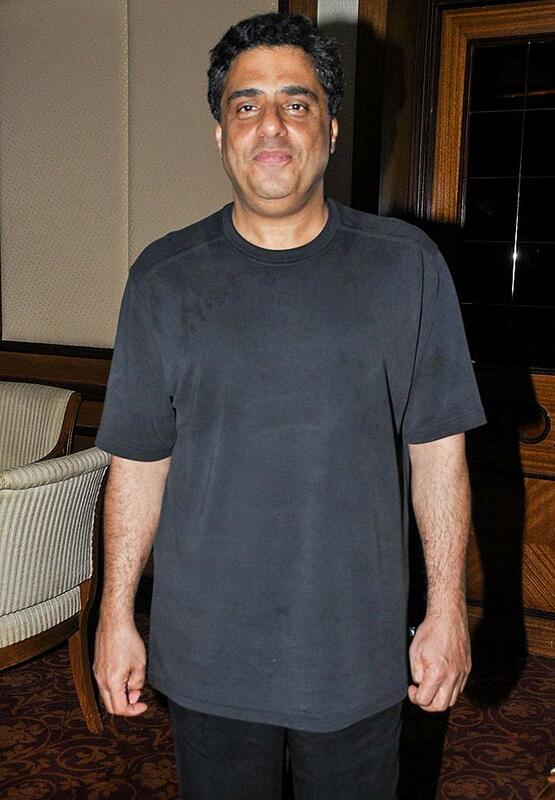 IMAGE: Ronnie Screwvala, movie producer, businessman and now do-gooder. Founder and CEO of the UTV Group, Ronnie's is a name you can't claim to not know unless you live under a rock. 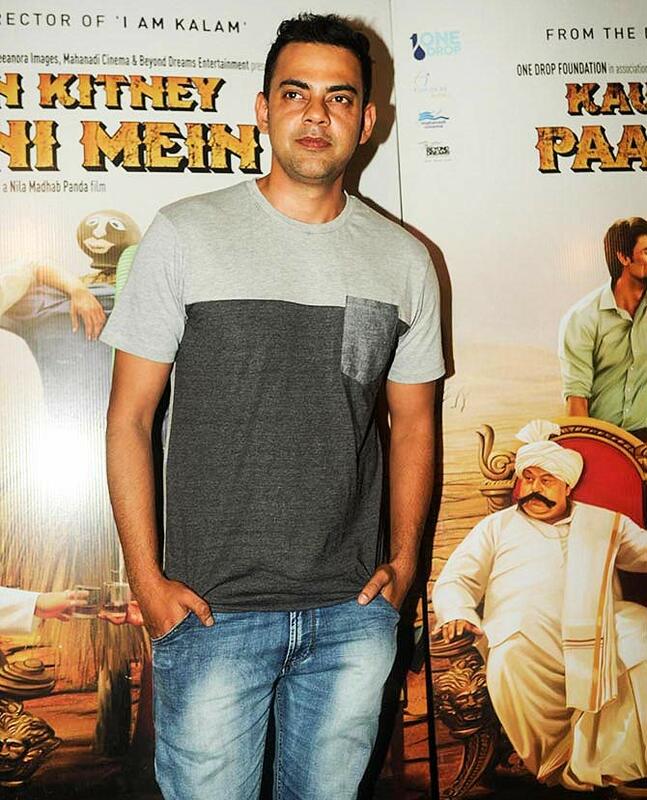 Credited for streamlining the way movies are made in Mumbai and creating a perfect blend of content and commerce, his role is evident in the success of his company's brand boosted through choices like Jodhaa Akbar, A Wednesday, Dev-D, Kaminey and Chennai Express. And the starry turnout at his daughter's wedding recently is testament to his standing and good will. IMAGE: Dinyar Contractor in 36 China Town. 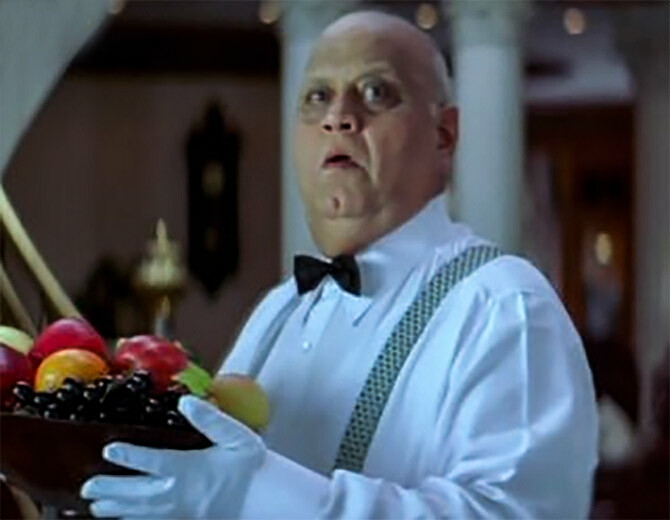 A well-known face in Mumbai theatre circles, Dinyar made quite an impression as the goofy professor in Abbas Mustan's Khiladi and the spoiler alert material of the director duo's 36 China Town. 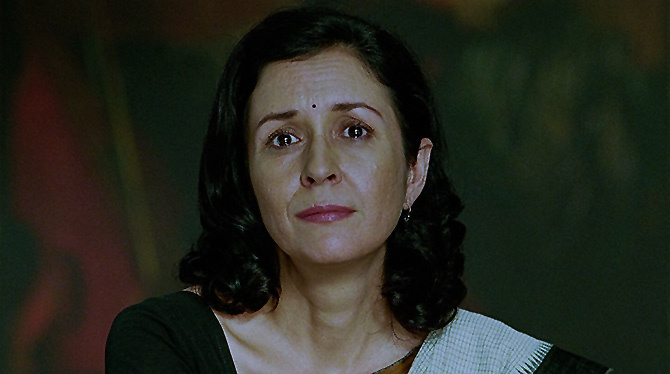 IMAGE: Shernaz Patel in Guzaarish. Stage or screen, Shernaz Patel's natural grace makes her a delight to witness on any medium. Right from her debut in Mahesh Bhatt's Janam opposite Kumar Gaurav to playing Emraan Hashmi's mum in Azhar, Patel's journey as an actress is steady even if a little unsung. 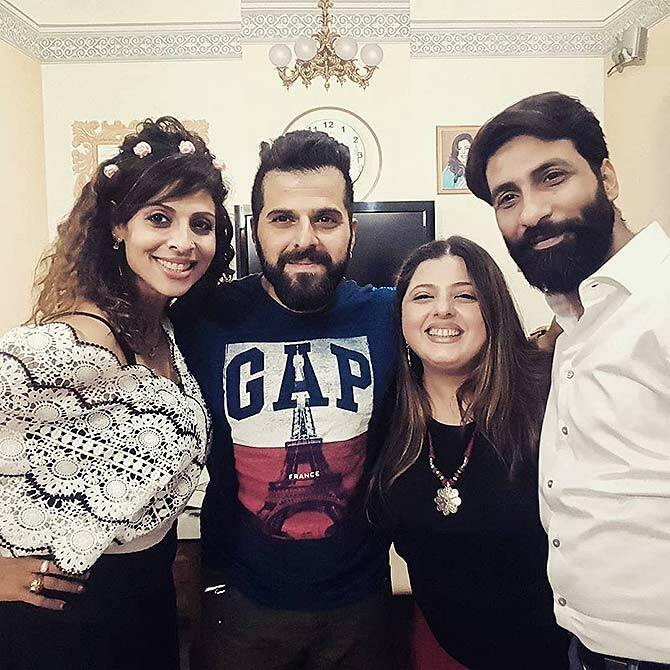 An effervescent presence on small screen ever since her breakout turn in Zaban Sambhal Ke, Tanaaz continues to juggle between movies, reality shows and TV serials. In comparison, sister-in-law Delnaaz is more prolific on the celluloid front, especially as Preity Zinta's sulky best friend Sweetu in Kal Ho Naa Ho. The sophisticated beauty and her dazzling smile didn't go unnoticed in unique scripts like Bollywood Calling, Jogger's Park and Morning Raga. But when nothing major came out of it, Perizaad opted for domestic bliss. 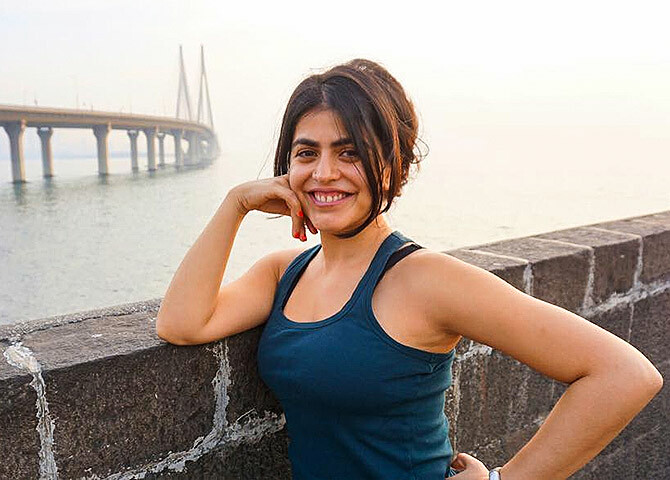 Model, veejay and actress, Shenaz Treasurywala played the hottie to the hilt in movies like Ishq Vishk and Delhi Belly. Right now she's concentrating on the Netflix comedy, Brown Nation where the 35 year old plays an Indian-American married woman chasing star-studded dreams. 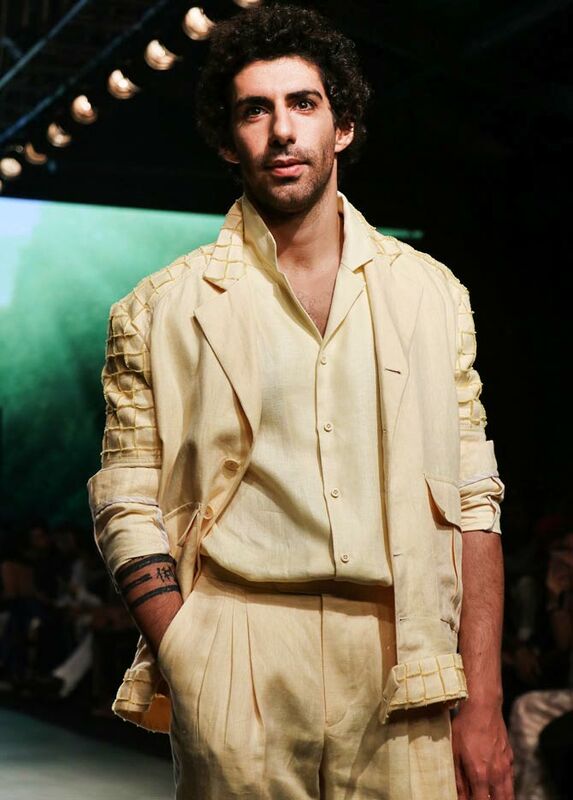 IMAGE: Shaimak Davar at his Summer Funk 2014 show in Mumbai. 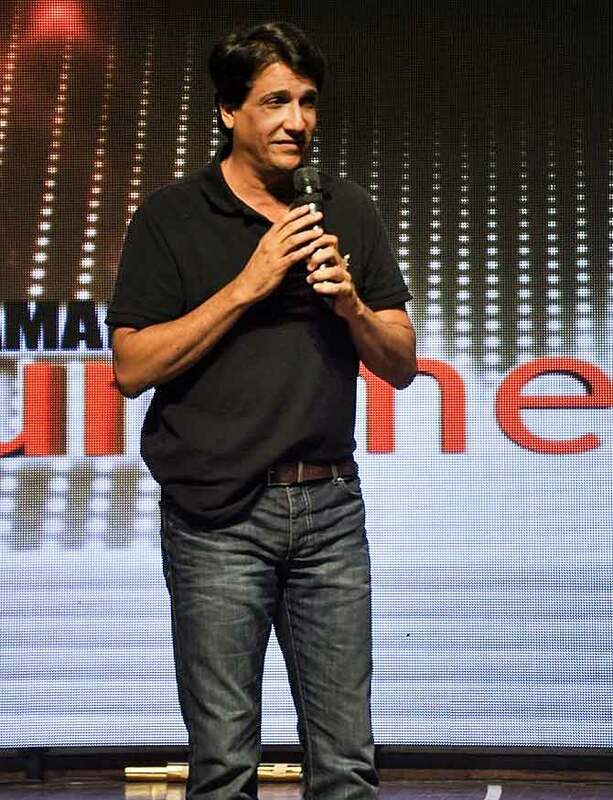 Shiamak Davar's choreography in the songs of Dil To Pagal Hai and Taal stunned many. None of Kaizad Gustad's films besides Bombay Boys garnered much appreciation, but Bollywood is forever indebted to him for discovering Katrina Kaif in Boom. 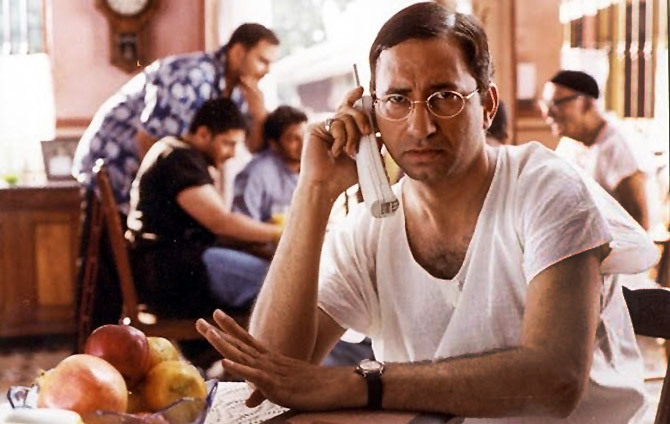 IMAGE: Kurush Deboo in Munnabhai MBBS. Shah Rukh Khan's obliging pal in Kabhi Haan Kabhi Naa, Sanjay Dutt's key to attaining a medical degree in Munnabhai MBBS and innumerable Parsi characters in various movies aside, few remember Kurush Deboo's impressive debut in and as Percy. The NFDC produced drama won a National Award for Best Gujarati film in 1989. An original game changer and cinema all-rounder, Ardeshir Irani set up Imperial Studios and introduced Indian audiences to the magic of talkies with the first sound film, Alam Ara. Other landmarks include the first Indian colour film, Kisan Kanya and the first Farsi talkie, Dukhtar-i-Lor. Though their family business concerned itself with shipbuilding, filmmaking is what attracted Surat's J B H Wadia and his younger brother Homi. Along with distributor M B Bilimoria and the Tata Brothers, Burjore and Nadirshaw, they founded the hugely successful Wadia Movietone, which produced hits like Lal-E-Yaman, Jai Swadesh, Black Rose, Return of Toofan Mail, Hunterwali and Miss Frontier Mail, Hunterwali Ki Beti, Mela and Sampooran Ramayan to name a few. Homi married the studio's most sensational discovery and star Mary Ann Evans aka Fearless Nadia. Under JBH's keen eye, Wadia Movietone added many feathers in its cap -- from the first Indian film without songs (Naujawan) to the first English language talkie (The Court Dancer). IMAGE: Sohrab Modi in Sikandar. Be it the stage or screen, the Dadasaheb Phalke recipient's sumptuous filmmaking and spellbinding baritone is unmistakable. 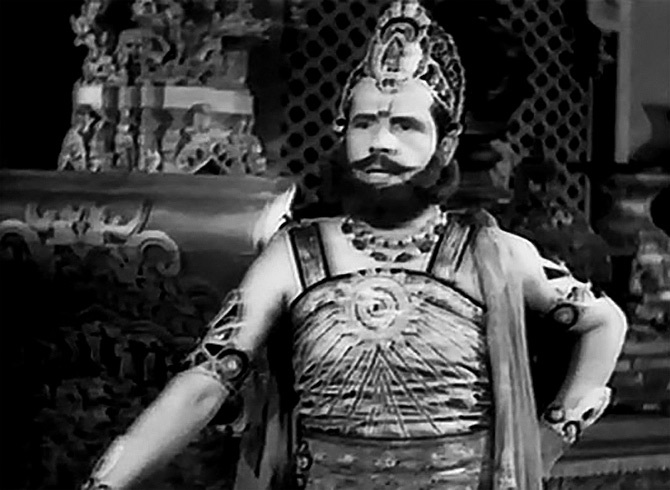 Much of Sohrab Modi's inspiration stems from a deep love for historicals as evident in his studio Minerva Movietone's classic productions, Pukar, Prithvi Vallabh, Mirza Ghalib, Jhansi Ki Rani and Sikander. The late legend's Parsi theatre roots reflected in his love for the verbose and production aesthetics. 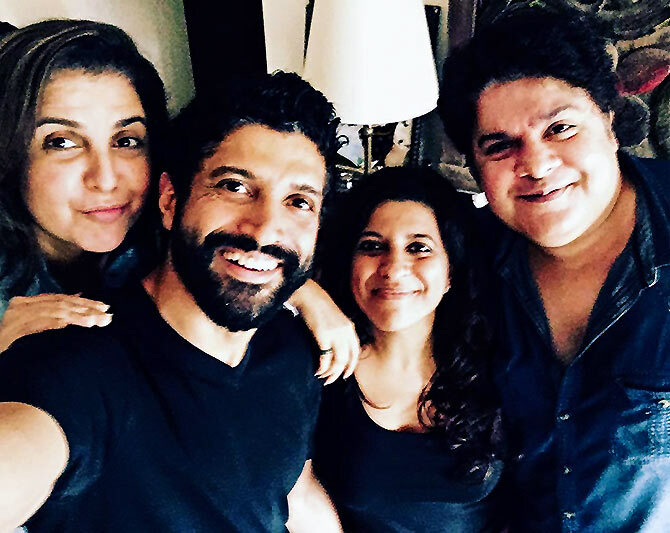 Did you know filmmaker siblings Farhan and Zoya Akhtar, their first cousins Farah and Sajid Khan, action hero John Abraham and the late veteran Farooque Shaikh are all Parsi from their mother's side? Lessons from Bollywood: Nail the vintage look!